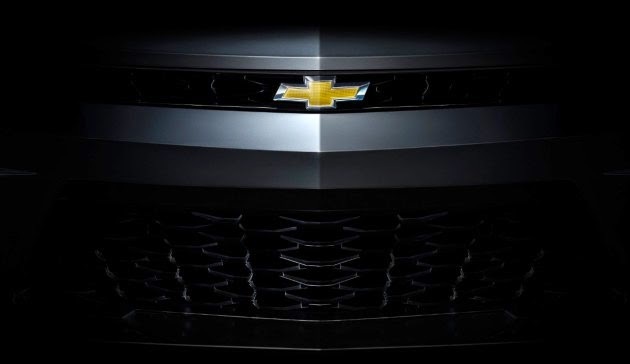 ELIZABETH CITY, NC – The automotive industry is waiting for this Saturday, May 16th, to FINALLY feast their eyes on the 2016 Chevy Camaro, which will be revealed in Detroit during an exclusive reveal party. The festivities this weekend include a "Camaro Museum" display of all of the most historically significant in the Camaro lineup, and chances to take laps on Belle Isle's race track (already onsite for the Belle Isle Grand Prix which take place at the end of May). After this debut on the 16th, the 2016 Camaro will begin a cross-country promo tour ending at the 2015 Los Angeles Auto Show in November, which is also about the same time it will be hitting the dealerships. Can you say ROAD TRIP!!!! The 2016 Camaro will be making countless public appearances at events throughout the country. These include a cameo at the Indianapolis 500, May 24th through the 25th, the MLB All-Star Game in Cincinnati on July 14th (we believe it will be given to the game's MVP seeing as Chevy has a long standing sponsorship with Major League Baseball). After that, the Camaro will make its way back to the Motor City and will be seen on Michigan's Woodward Dream Cruise on August 15th, and then to the Rolex Monterey Motorsports Reunion in California from August 13-16th. The car will also return for the previously mentioned Belle Isle for the Chevrolet Detroit Belle Isle Grand Prix on May 29-31, and entire fleet of Camaros will be on hand in Bowling Green, Kentucky for Camaro Fest on August 7-9. So, if you are just itching to get a first hand glimpse of the sixth-generation Camaro, you might have a chance before the cars hit the dealerships in the fall you may just have a chance by attending any of these events. The 2016 Camaro will begin a cross-country promo tour immediately following the May 16th reveal, but if you would like any more information on the 2016 Camaro, or would like to take any of our 2015 Camaros for a test drive, pay us a visit! Perry Auto Group has two dealership locations to serve you better at 1005 W. Ehringhaus St, Elizabeth City, NC, 27909 or 1001 Halstead Blvd Elizabeth City, NC 27909. Feel free to call us with any questions at (252) 338-9100.